Original Price: List price in 1982: $2,894 with 32K RAM, 8012A I/O system w/additional 32K RAM, 8031A dual floppies, and 12" monitor. 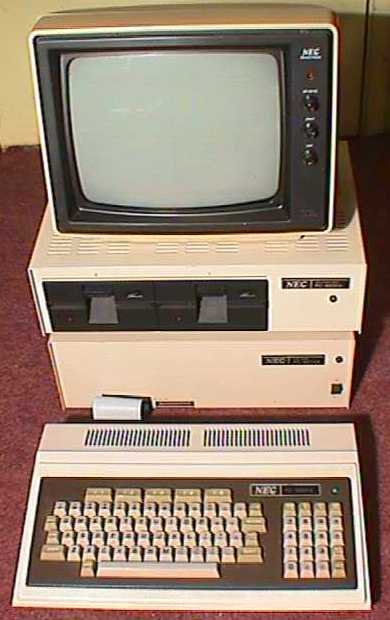 The NEC PC-8001A was the first computer system to be mass marketed in Japan in 1979. 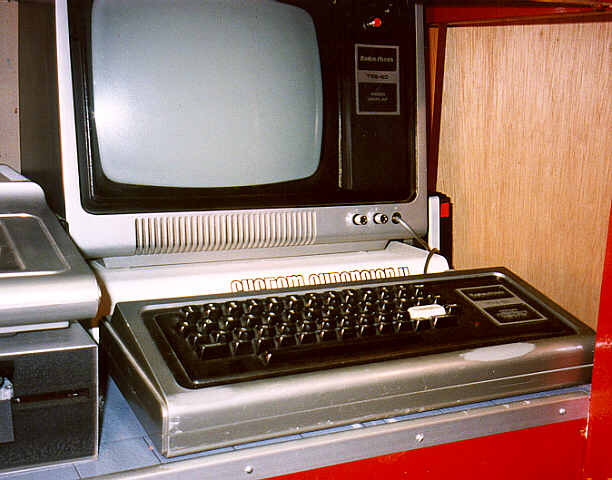 In physical design it's almost a clone of the Radio Shack TRS-80 Model 1, introduced two years earlier; both have the CPU fully contained within the keyboard; both use the Z-80 microprocessor, and both use external expansion interfaces. 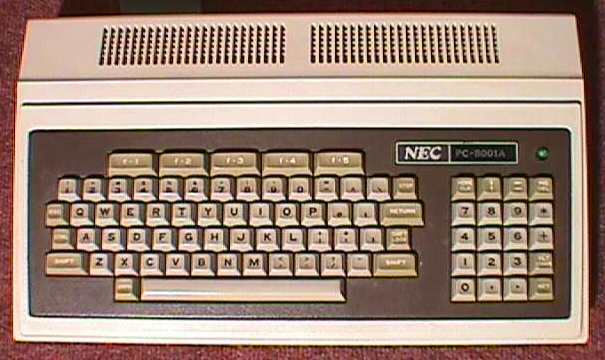 The NEC is a more sturdily built machine than the Radio Shack; where the TRS-80 uses plastic, the NEC uses metal. The NEC is also much faster, at a full 4 MHz clock speed, and has color graphics.